Back in October 2014, YouTube CEO Susan Wojcicki explained how she didn’t want to let the online video site’s business concerns replace YouTube’s unique offerings for creators. But now, the site has clarified a policy that restricts some types of branded videos. According to Digiday, YouTube has revised its paid product placements documentation, which prohibits graphical title cards from appearing on creators’ videos. This new ad unit and YouTube’s updated paid product policy serve as ways for YouTube to clarify what content creators can and cannot do when working with brands. 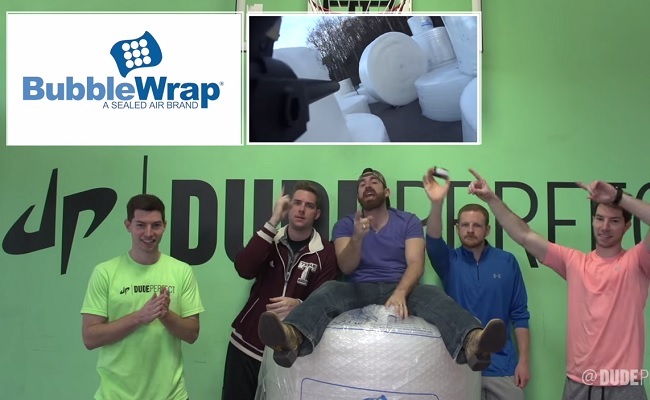 While the restriction on brand messages is not new, those messages still occasionally ended up in videos, such as in the Dude Perfect example above. A YouTube representative told DigiDay the revised paid product policy is just a clarification of terms implemented in late 2014. Technically, creators can still add “text-only title cards where there is Paid Product Placement for the purpose of paid product disclosure only.” It’s always been a good practice for creators to put disclaimers on their sponsored videos, though YouTube’s policy restricts those disclaimers to text.